(DALLAS, November 27, 2015) –This December, the staff and clients of Dallas Reading and Language Services will join together to provide holiday support for Promise House, an emergency shelter for youth in crisis in Dallas, by hosting a Giving Tree in the speech and reading clinic’s waiting room. 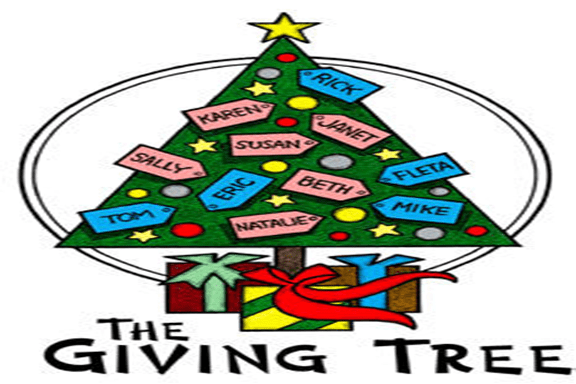 From Dec. 1, 2015 until Dec. 19, 2015, visitors to the clinic will be able to take a paper ornament from the Giving Tree marked with $2, $5, $10, $20, $25, $50, $75, or $100. By making a cash or credit card donation in the amount listed on the ornament, the donor will receive a wooden ornament that he or she can decorate to replace the paper ornaments. Whoever donates $500 or more will receive the star at the top of the tree to decorate him or herself. 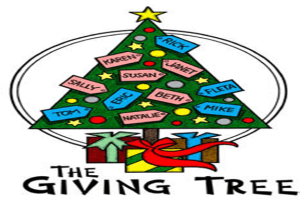 Dallas Reading and Language Services expects that by the end of the holiday season, the Giving Tree will be filled with the hand-decorated wooden ornaments and all the paper ornaments will be replaced. All cash and credit card donations received will be sent to Promise House, to assist at-risk and homeless youth. Promise House embraces homeless, runaway and at-risk youth, giving them needed support, encouragement and hope to live a better life. Our programs cover the vital needs of youth, including emergency shelter, transitional living, pregnant and parenting teen services, individual, group and family counseling, street outreach and educational intervention. Promise House is dedicated to providing the strength, stability and hope that youth need today to fulfill their promise for a healthy, productive and self-sufficient tomorrow. Since 1984, Promise House has had an open door 24 hours a day, 365 days a year to children, teens and families in crisis serving over 70,000 youth and families in North Texas. Dallas Reading and Language Services is a provider of speech-language therapy and reading services to the Dallas community, employing licensed Speech-Language Pathologists and SLP Assistants. (DALLAS, August 18, 2015) – Dallas Reading and Language Services is pleased to announce they are now accepting clients enrolled in Texas Bluebonnet Health Plans, and the Children’s Medical Center Health Plans for CHIP, STAR, STAR+PLUS, STAR Health, and Star Kids products. The speech therapy clinic proudly adds these plans to all other Medicaid insurance carriers which they accept including Molina Healthcare, Parkland Medicaid/CHIP, Amerigroup, and TMHP. Dallas Reading and Language Services has been a leading provider of speech-language therapy and reading programs in North Texas since their founding by Rachel Betzen in 2005. They are unique among North Texas speech therapy and language service providers for their focus on working with lower socio-economic families, as well as middle class and higher income families. 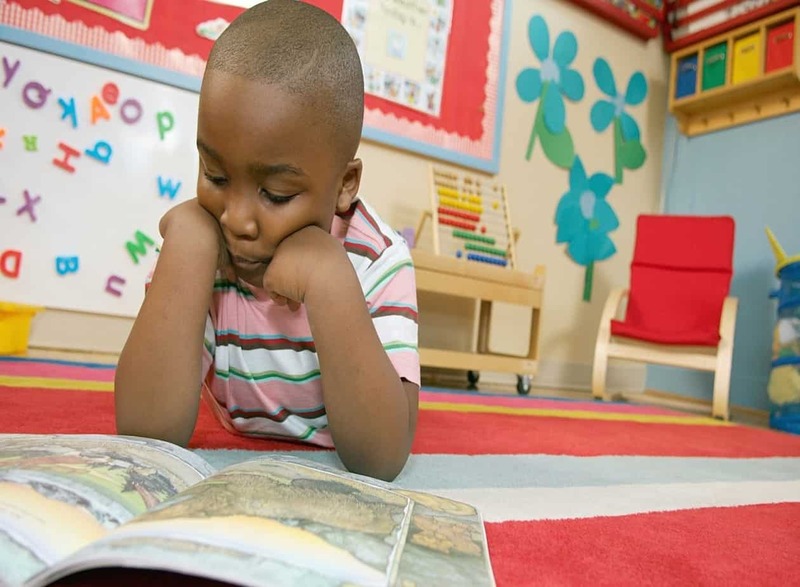 Today, Dallas Reading and Language Services offers services on a sliding scale basis for private pay families, as well as some insurance, in addition to the Medicaid plans they accept. 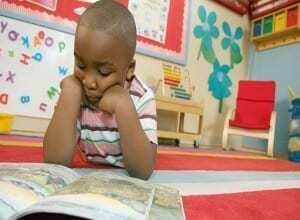 Dallas Reading and Language Services also provides free screenings for hearing, speech and language. Parents may e-mail or call to schedule a screening appointment. Dallas Reading and Language Services is also available to provide hearing or speech-language screenings in the community. Health clinics, private schools, and community centers are encouraged to contact the clinic at 214.646.1570 for further information on these services. (DALLAS, August 13, 2015) – The American Speech and Hearing Association reports that roughly 6-8 million Americans have a language impairment – many of them children. Thanks to a technology now available in North Texas, that number may be shrinking. Dallas Reading and Language Services, a pediatric speech-language pathology clinic in Dallas, has started using a new device called SmartPalate™ with their clients. They are the only speech therapy clinic in North Texas using the device. 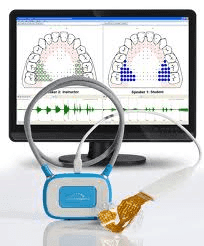 The SmartPalate™ is a custom mouthpiece and computer software system that displays where a student’s tongue is touching the roof of his or her mouth during speech. Speech-language pathologists, including the staff at Dallas Reading and Language Services, then create custom “tongue targets” for the sound(s) the student is working to develop such as /r/, /l/ or /s/. The visual target allows the student to repeatedly practice the sound simply by matching his or her their tongue with the respective target. SmartPalate™ technology, known as electropalatography, was developed by Dr. Samuel Fletcher, an industry-recognized audiologist and speech-language pathologist in the mid-1950s. For decades, the use of the technology was limited to research facilities, primarily with speech students who were deaf or hearing impaired. In 2010, CompleteSpeech developed a system for commercial use and speech-language pathologists have continually expanded the use of the technology to students with multiple speech disorders and backgrounds. In multiple cases, children and teens who have struggled in speech therapy for years without significant progress have made immediate sizable improvements in their speech and consequently their self-esteem and confidence – usually within a matter of months.